© 2018 Bennington County Humane Society. All Rights Reserved. 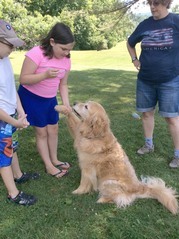 Second Chance is now accepting registration for our 2019 summer humane education program, Camp Companion! 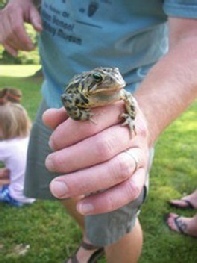 This hands-on summer enrichment camp provides children with an opportunity to connect with animals, nature, and their peers. We work with knowledgeable presenters and organize activities to engage campers and to teach them about the importance of compassion. Space is limited and registration is available on a first-come, first-served basis. Check out the following session schedule, and if you wish to register, please click here to print and mail one registration per child. All registrations must be accompanied by a $50 non-refundable deposit (one per child, per session). If you prefer to pay online, click below but be sure to still mail your registration to: SCAC, 1779 VT Route 7A, Arlington, VT 05250. Sessions 1, 2, and 3 are full-day sessions for ages 8-12. Camp hours are 9:00 am-3:00 pm, and these sessions are $225 per child. Session 4 is a half-day session for ages 5-7. Camp hours are 9:00 am - 12:00 pm, and this session is $125 per child. All campers will receive a t-shirt! Make sure to call us at 802-375-2898 with any questions. Session 2: July 8-12 Feline Frenzy (ages 8-12) A fun-filled week of cats - those who lives in our home, in our community, and in the wild. Session 3: July 15-19 Dog Days of Summer (ages 8-12) Explore the exciting world of dogs, from pugs to coyotes. Session 4: July 22-26 Cuddly Creatures (ages 5-7) This is a great opportunity for youth to spend time learning about rabbits, hamsters, ferrets, and other small pets.